Ships tomorrow if you order in the next 19 hours 10 minutes. Maca, cultivated in the highlands of Peru, has long been considered the ginseng of the Andes, supporting energy, stamina and vitality. For centuries, it has been associated with supporting healthy libido and sexual performance. Studies indicate that this effect appears independent of any influence on testosterone or other hormones, further supporting the safety of maca. In addition to traditional use, several recent trials involving male subjects indicate its potential for supporting healthy sexual desire and performance. Maca has also been associated with promoting healthy female sexual interest and healthy reproductive system function. 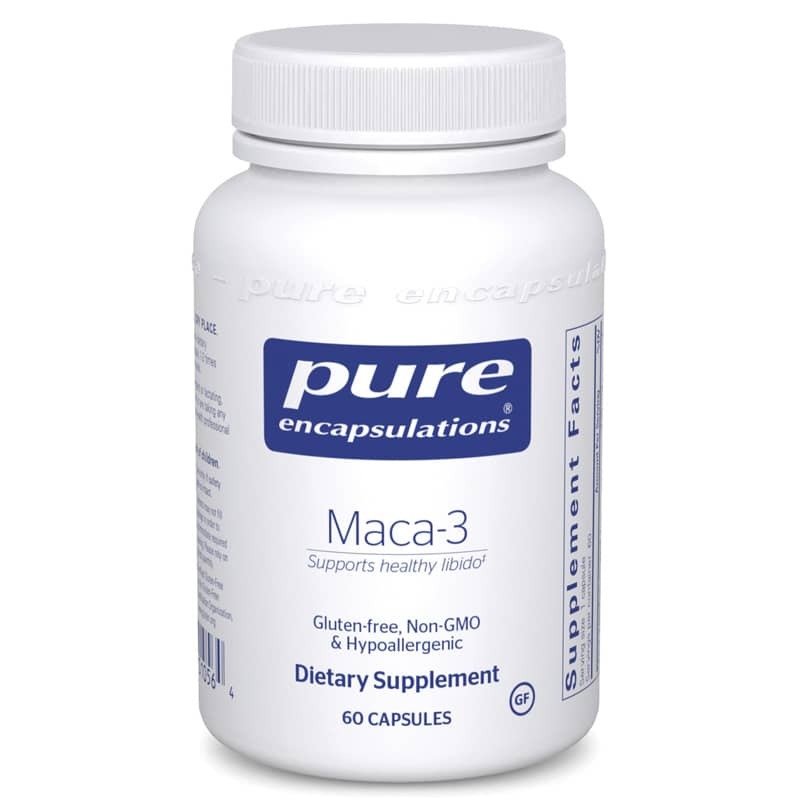 Maca-3 combines various maca extracts to provide the synergy of constituents prized for promoting male and female libido and healthy reproductive system function. Other Ingredients: hypoallergenic plant fiber (cellulose), ascorbyl palmitate, vegetarian capsule (cellulose, water). Adults: As a dietary supplement, take 1 to 2 capsules daily, in divided doses, with or between meals.